Patrick was born July 4, 1838 near Galbally, Ireland. He died April 23, 1912 in Sherman Township, Pocahontas County, Iowa (Book 3, page 53, No. 86) and is buried in St. John Cemetery (section 36) Gilmore City, Iowa. He arrived with his parents and family aboard the Arygle on June 17, 1848. Patrick became a citizen on October 12, 1860 in Will County, IL. Sponsor was William Henneberry. 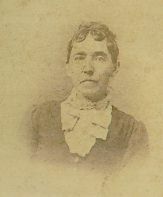 Married Julia Magner on September 23, 1863 in Will County. Julia was the sister of Elizabeth who married James Henneberry, brother of Patrick. Parents of Julia, James Magner and Margaret Fruin. Julia was born March 1, 1839 in Galbally, County Limerick, Ireland. She died Sept. 18, 1900 in Pocahontas County, Iowa, (Book 2, Oct 1897-Dec 8, page 5, No. 20). He was living in Felix Township, Grundy County in the 1870 census. In 1876, purchased two 1/4 sections of land (320 acres) in what is now Goose Lake Township, Grundy County. A school was constructed on the south-west corner of his property. Between 1876 and 1880, Patrick and his family moved to Dora Township in Moultrie County, IL. His brothers James and Francis and his sister Margaret Henneberry Foley along with their families had also moved to Moultrie County. See Sacred Heart Church in Dalton City. 1880 census: Tabor (Patrick) Henebery age 40, wife Julia age 38 and children: John age 10, Jane age 13, Joseph age 8, Francis age 6 and one son born in May and not yet named (the infant may have died the same year). In the 1880 Moultrie County census, Margaret, age 56, was living on a farm next to her brother James Henneberry in Dora Township with their children: William age 38, James age 28, John age 18, Jane age 23, Margaret age 20, Frank age 16, Ellen age 14, and Elizabeth age 12. In the 1880 census, her husband John was listed as William - age 62. There were three other Foley families and two Jeffries families living in Dora township in 1880. 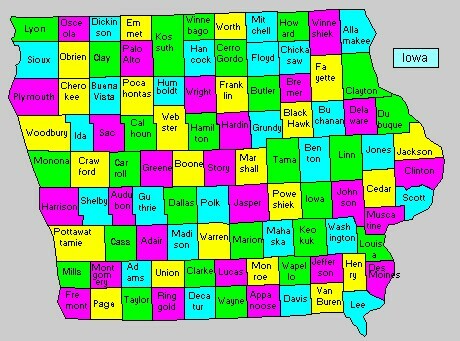 In the 1900 census, Patrick was living in Lake Township, Pocohantas County, Iowa. Census taken on June 21, 1900 by John McBride, Sheet 12. Patrick: age 62, born July 1838. Julia: age 60, born Jan 1840. arrived in America in 1861. Nine children, seven children living. Frank: age 25, born Aug 1874 in Iowa. Tomas: age 22, born Feb 1878 in Illinois. James: age 19, born May 1881 in Iowa. David: age 16, born Oct 1883 in Illinois. His son James lived in Ware, Iowa and his daughter Jennie and husband Thomas Burns lived in Pioneer, Iowa. In the 1910 census, Patrick will living with his son James in Sherman Township, Pocohantas County. The 1900 Moultrie County Illinois census lists John E. Henebry and his wife Anna T. Dunn with John's younger brother William living with them. 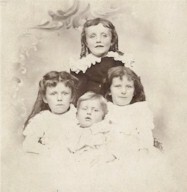 At the time of Patrick's death, six children were listed. Jennie Burns-Pioneer, Iowa; John Henneberry-Dalton City, IL; Thomas Henneberry-Cheyenne, WY; Joseph Heneberry-Lester, WY; David Henneberry-Calgary, Canada; James Henneberry, Ware, Iowa. The Pocahontas Democrat of Ware Iowa April 25, 1912: "Patrick Henneberry, age 74 years, died at the home of his son James near Ware, Wednesday morning. Deceased was born in Ireland, July 4, 1838, being 73 years, 9 months and 19 days old. Heart trouble was the cause of death. Not being able to hear from relatives in Wyoming, it is not known yet when the funeral will be held." Pocahontas Record, Thursday, April 25, 1912: "Patrick Henneberry died at the home of his son, James, near Ware, Tuesday night. The deceased had been sick but a short time and his death came unexpectedly to his friends." Jane: born April 18, 1866 in Grundy County, Illinois, died July 6, 1939 in Carroll County, Iowa. 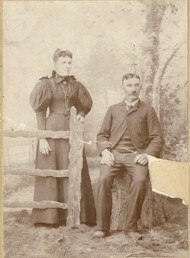 Married Joseph Burns 1890 in Illinois. Nine children. in Lovington, IL in 1890. John: born Oct. 14, 1869 in Grundy County, died on Feb. 17, 1949 in Dalton City, IL. Married Anna T. Dunn in Dalton City, IL. Seven children. James M.: born May 26, 1881 in Iowa. Married Anna B. O'Malley on Sep 20, 1904 by W. A. Pape in Sacred Heart Church in Pocahontas County. Pocahontas Democrat, Thursday, Sep 22, 1904, Vol IV, No. 29 "J. M. Hennebery and Miss Annie O'Malley, both of Lincoln Township, were united in marriage Tuesday morning in the Sacred Heart church. Rev. W. A. Pape officiating. The contracting parties are well known to our people, having lived in Lincoln for years, are bright industrious young people well worthy the good wishes of all." Lived in Olivia, MN. Eight children. Pocahontas Democrat, May 9, 1912: "Saturday evening, the southbound stock train killed two valuable horses, also injured the third for James Henneberry, just south of town" James died in December 1962. David Robert: born Oct. 8, 1884 in Dalton City, IL. died Aug. 3, 1960 in Palo Alto, CA. 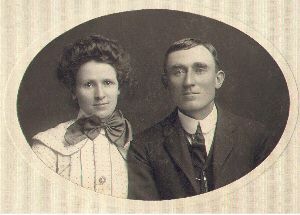 Married Lucie A. LeHane on Feb 12, 1907 in Sacred Heart Church in Pocahontas County, Iowa. by Fr. W. A. Pape. Lived in Montana and Calgary, Alberta, Canada. One daughter, Davida, born in Calgary, Canada. David worked for Southern California Edison and Lucie taught in the Los Angeles California Elementary School District until retiring in 1945. Francis: born August 1874 in Iowa. Two children. Joseph: born December 1875 in Grundy County, IL. He was a rancher near Luther, Wyoming. Thomas Jerome: born Feb. 27, 1878 in Grundy County, IL. He was a physician in Cheyenne, Wyoming.
" Dalton City: the funeral services of Ruth Ann Henneberry, 8 year old daughter of Mr. and Mrs. John Henneberry, whose death was caused from pneumonia following influenza, was conducted Saturday morning at the Sacred Heart Church by Rev. Curran and burial was at St. Isidore." NOTE: The Spanish Flu epidemic, known as a pandemic because it grew to worldwide proportions, is believed to have been born in early March 1918 when soldiers at Fort Riley, Kan., burned tons of manure. "The onset of illness for those battling Spanish influenza was quite sudden,". In a matter of mere hours, a person could go from strapping good health to being so enfeebled they could not walk. Victims complained of general weakness and severe aches in their muscles, backs, joints, and heads." PBS Report in 1998. Major cities provided a killing field for the virus with 1,000 people dying in Boston by the end of September 1918. Philadelphia fared much worse, losing more than 4,500 residents to the Spanish influenza by late October. The death toll rose to nearly 13,000 in that city alone. In San Francisco, which had the added stress of watching the deadly illness as it moved west, the dead from the influenza epidemic numbered more than 3,500 by the end of 1918. "I had a little bird, Its name was Enza. I opened the window, And in-flu-enza." Worldwide, the epidemic killed 20 million to 40 million people. In the United States, estimates place the death toll at 500,000 to more than 675,000. As a comparison, fewer than 300,000 Americans lost their lives serving in the armed forces during World War II. "Harry Edward Henneberry, 72, Dalton City died 2:30 pm Tuesday, Decatur Memorial Hospital, born Dalton City, retired farmer, member Sacred Heart Catholic Church, Dalton City, Knights of Columbus, married Zita McKey, she died in 1946. Leaves sons, Lee of Toulan; James and Donald both in Dalton City, brother Wayne H., Clarence, Mo. ; sisters, Mrs. Ellen Smith, Dalton City, Mrs. Bess Ibison, Chicago, five grand children. One brother, two sisters preceded him in death. services 10 am Thursday, Sacred heart Catholic Church, Dalton City. Burial Calvary Cemetery, call from 4 to 9 pm Wednesday at J. J. Moran & Sons Funeral Home, Decatur. Prayer service 7:30 pm Thursday at the funeral home." "Mrs. Zita McKee Henneberry, formerly of Decatur and more recently of Hammond, Ill. died at 12:45 am Sunday in the Carle Hospital clinic in Urbana where she had been a patient for five weeks. She had undergone a major operation at that hospital in September and suffered a relapse five weeks ago which made it necessary for her to return to the clinic. 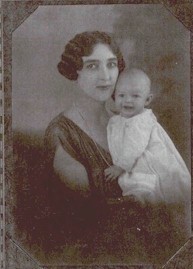 The daughter of the late Edward and Mrs. Alice McCluskey McKee, she was born in Decatur on Aug. 25, 1902. Here she attended St. Patrick's parochial school and St. Teresa' academy. She was married in 1928 to Harry E. Henneberry in Chicago. After their marriage, the couple lived on a farm near LaPlace, moving 18 years ago to a farm near Hammond where they have lived since. She was a member of St. Michaels Catholic church in Bement and of the church's Altar society. Her father preceded her in death in 1944 but her mother survives her. Also surviving are her husband the three young sons, Lee, Jimmy and Don, all at home. A sister, Mrs. Harry Falk is a resident of Denver, Colo, but was with her sister at the time of her death. 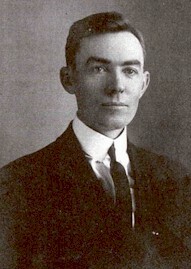 One brother Thomas H. McKee is a resident of Decatur. The body was removed to the Moran & Sons funeral home where friends may call after noon today and through this evening. The body will be moved to the residence near Hammond tomorrow where friends may call after 1 pm. Requiem high mass will be recited at 9 am Wednesday in Hammond and the body will be brought to the Calvary cemetery in Decatur for burial."